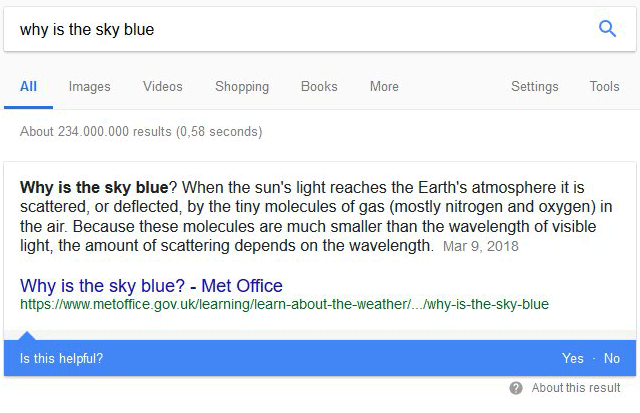 Home > Google News > Google Featured Snippets Asks Searchers "Is This Helpful"
We've seen Google asking searchers to rate the search results before and even ask them if the longer search results are useful or not. Here is an another example of Google asking searchers to rate if the featured snippets are helpful or not. Again, it is random who and when Google shows these polls in the search results, but here is yet another version of it.